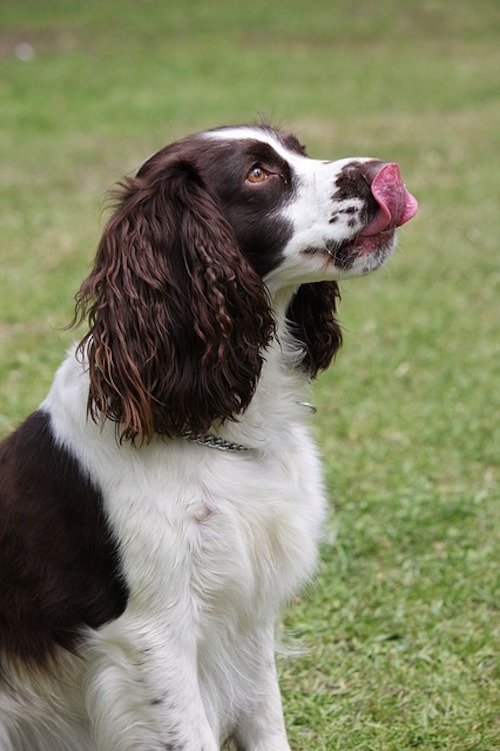 Is Coconut Oil Good For Your Dog’s Digestion? Coconut oil has been all the rage, with humans singing its praises for its health benefits. But is it also good for our canine companions? This multitasking superfood has tons of health benefits due to its natural composition. It’s largely made up of medium chain fatty acids and provides lauric acid, capric acid, caprylic acid, myristic acid, Vitamins K and E. It also has antiviral, antifungal, and antibacterial properties. What does all this mean? These powerful nutrients and properties can improve your pup’s health from head to toe. But perhaps the most surprising benefit of this tropical oil is how it can help your dog’s digestive system. “Coconut oil can increase energy levels, improve skin and coat, improve digestion, and reduce allergic reactions,” explains Dr. Colleen Smith, DVM, CVA, CVCP in an article by PetMD. Dogs Naturally Magazine explains more ways that coconut oil aids in digestion. In addition to helping with nutrient absorption, its anti-inflammatory properties can help alleviate symptoms of of inflammatory bowel syndrome and colitis. Its antiviral, antifungal, and antibacterial properties help kill germs and parasites in the digestive system. What’s more, it can help keep your dog’s mouth clean, freshening her breath, and supporting the health of her teeth and gums. In fact, coconut oil can even be used as an all-natural toothpaste! With so many different coconut oil products out there, it can be hard to know which one is best for your pup. The fact is, they’re not all equally beneficial, and it depends on how they’re processed. The most nutrient-dense coconut oil is virgin, organic, and cold-pressed (meaning that it’s not processed with nutrient-killing heat). One of the best parts about supplementing your dog’s diet with this exotic oil is that most pups find it delicious! (Note: consult with your vet before feeding your pup anything new, and introduce it slowly; allergic reactions can occasionally occur.) You can add a dollop of the stuff to your pooch’s food, use it to coat medications, put it in a stuffable toy, or just let her enjoy it off the spoon! While coconut oil should be enjoyed in moderation, this is a health-boosting treat that you can feel good about giving your dog. 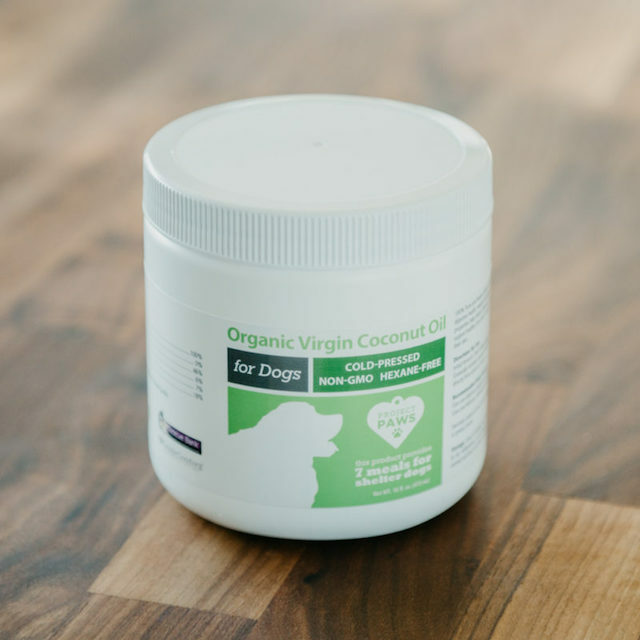 Try the Pure Organic Virgin Coconut Oil For Dogs available in the iHeartDogs store. It’s non-GMO, cold-pressed, and the only coconut oil on the market that supplies meals for shelter dogs with every purchase! Pure Organic Virgin Coconut Oil Supplement for Dogs (16oz), $15.99. Each purchase provides 7 meals for hungry shelter dogs.